Ali has designed patterns and illustrations for a wide range of markets including greeting cards, home textiles, fabric and children’s products. After graduating with a First Class Honours Degree in Printed Textiles from the University of Derby, Ali started work as a lecturer teaching visual studies to interior design students and freelancing as a surface pattern designer creating hand painted work for the home decor and stationery markets. 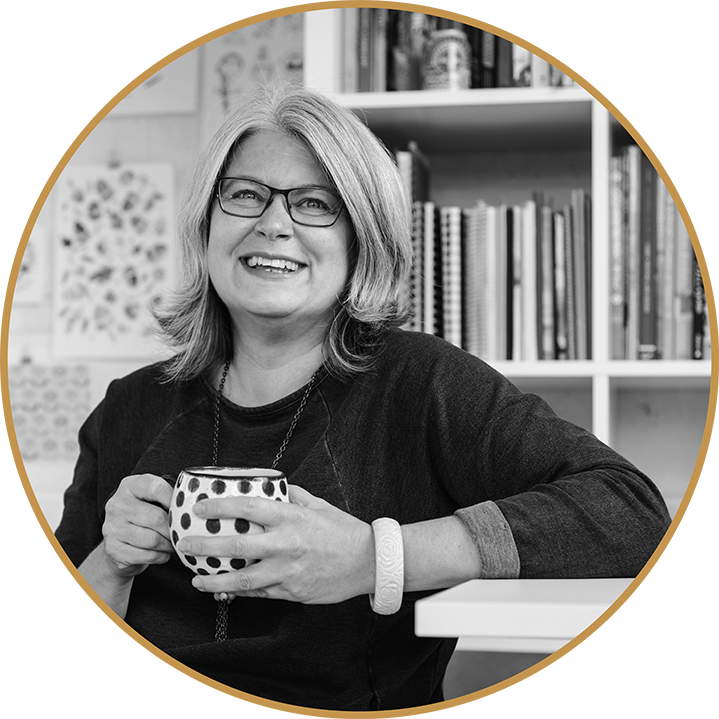 She also has experience in the manufacturing of glass and ceramic transfers for companies such as Royal Worcester and Denby. Her clients include: Dashwood Studio, The Gift Wrap Co, Hobby Lobby, Paper Rose, CCA Occasions and Fisher Price. "Seeing some of my line drawings turn into embroidery patterns." "I like drawing most things from realistic to abstract, however a quirky geo makes my heart beat a little faster along with bags and shoes." We have more work available. Contact us to see Ali Brookes' full portfolio.